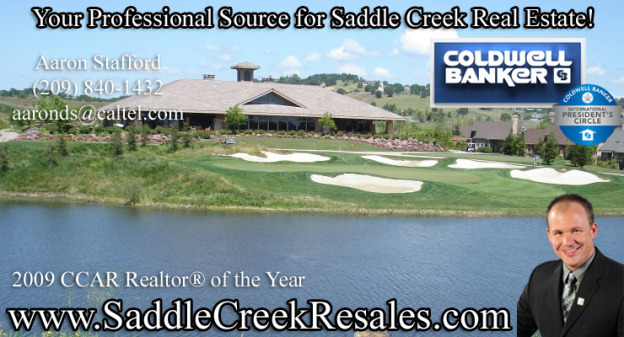 Welcome to your independent source for real estate in the Saddle Creek Golf Course Community. Saddle Creek is located in the wonderful town of Copperopolis in Northern California. Saddle Creek is a prime destination for full time and secondary homeownership as we are centrally located in the foothills of the Sierra Nevada Mountains. We are minutes from multiple lakes that provide for excellent watersport activities, and all of the activities that the local mountains have to offer such as hiking, camping, fishing and of course, golf. It is my primary goal to provide you with an unbiased perspective and real estate advise regarding real estate in the Saddle Creek area.